Introducing the Mulberry Spring/Summer 2019 Bag Collection. The brand’s new collection takes its inspiration from British sixties couture. It features a mix of..
Louis Vuitton Cruise 2020 show will take place at TWA Flight Center, which is located at the JFK Airport in New York. 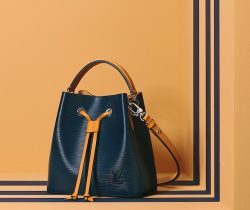 The..
Louis Vuitton has just released a mini version of the NeoNoe Bag. The NeoNoe was introduced in 2017, which takes its inspiration from..